← Dangerously Inadequate Yellow Light / Amber time issues in Winnipeg and cover up. After recent traffic court decisions regarding Charter 11b rights the Province has decided to appeal at least 1 of the decisions instead of looking at the root cause and facing the consequences of intentionally infringing on these rights. They have also directed the Crown’s office to try a new tactic to try and collect fines from unwitting vehicle owners or their representatives. Approx 25% of these tickets are being contested as more and more people get informed of the facts and get fed up with the abuse. This has reslulted in the majority of the trials have been delayed 12 – 24 months. The Provinces new tactic is to direct the Crowns office to start calling vehicle-owners or their representatives who have trial dates unreasonably delayed and invite them to a “15 minute meeting” with a crown attorney to discuss their options to pay – rather than plead Not Guilty, requiring a trial. 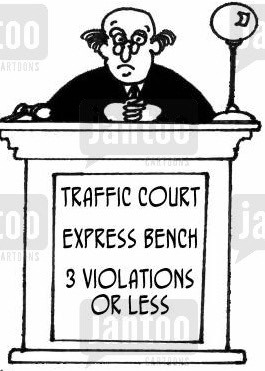 They likely offering the same bribe of half off fine to change plea that they have been offering for over a year now when docket over filled or when they know operator or officer not present and hope you won’t stick around to find out. When asked they have even lied saying they are present when they know they are not. They better not be redirecting attorneys or provincial justices from more serious matters like violent and property crimes which have been occurring at one of the highest rates in Canada. To learn more about this and related deliberate abuse and what you can do if you affected or want to help stop it. This entry was posted in News and politics and tagged Abuse, abuse of power, abusive traffic enforcement, acs, ACS Government Solutions, Affiliated Computer Services, audit, breach of public trust, breach of trust, city council, city of winnipeg, civil unrest, corrupt, corruption, crime, criminal, fraud, government of manitoba, government reform, illegal, manitoba, mistrust, mpic, photo radar, political reform, politics, protest, public funds, red light camera, safety, scam, scandal, tax grab, taxpayer, Taxpayer Abuse, theft, transparency, unsafe, winnipeg, winnipeg police service, WPS, xerox. Bookmark the permalink.